We are happy to inform you that we have upgraded Gold Delivery Request Form, which will make the procedure of gold withdrawal easier than it had been before. Please bear in mind, that only those of you who have verified accounts and at least one kilo of gold stored in our vault are able to use the service. The delivery is carried out free of charge to any airport of the world - please look through the Terms of Delivery for more details. 1. 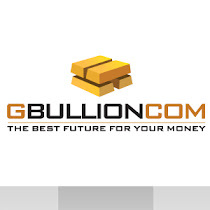 Gold trading will be possible in USD only. Starting from January 15 all the incoming wires in other currencies (EUR or AED) will be automatically converted to USD in line with our bank's (EmiratesNBD) rate of exchange and added to your accounts one-to-one (no commissions are going to be applied ).That is why from now on we highly recommend you to wire funds in USD only. The restriction of trading in other currencies is temporary, we are now working on the issue and will soon provide you with an opportunity to trade gold in other currencies as well. New additional commission of 5 USD for a purchase of less than 1 troy ounce of gold (31.10 grams) is going to be introduced. The buy back will still be carried out without any commissions. Should you have any questions or concerns, please feel free to contact us.